Scissor design has been a Washi #1 sellers for over 10 years! 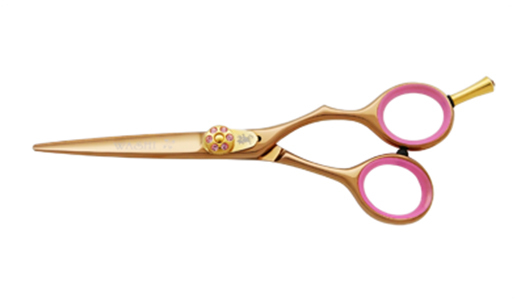 The"Copper Sun" hair shear is a beautiful titanium colored tool. Always performs brilliantly, thanks to its light weight and slim blades. This design has been a Washi #1 sellers for over 10 years!